With over 70 years of combined experience in bankruptcy and commercial law, the attorneys at Madoff & Khoury are recognized leaders in their fields, providing their clients with advice on personal and business bankruptcy law, as well as corporate and real estate transactions. Attorneys David Madoff and Michael Khoury enjoy the highest “AV” rating by Martindale – Hubbell, a national attorney peer review and legal networking firm. Attorney Madoff regularly lectures for Massachusetts Continuing Legal Education, educating other attorneys on bankruptcy law. 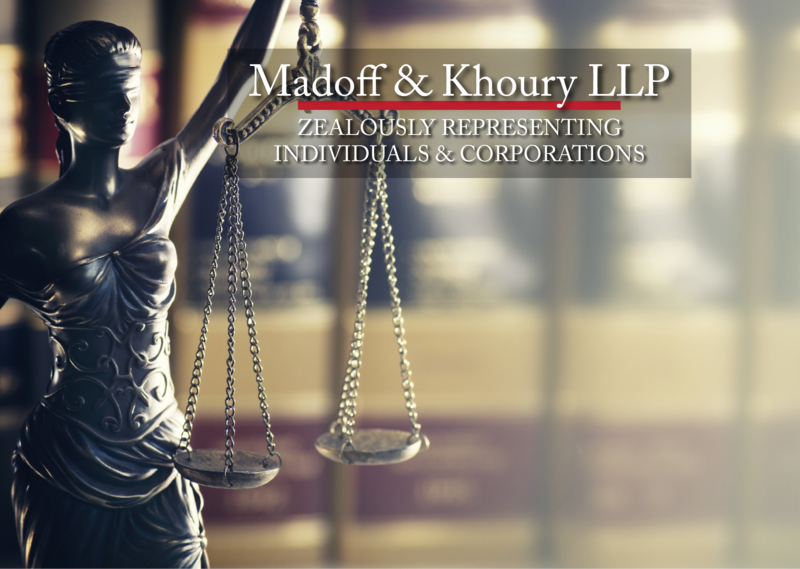 From their offices in Foxborough, Massachusetts the attorneys of Madoff & Khoury LLP represent with equal vigor individuals, small businesses, and large corporations in need of expert legal services. If you want a small firm with large firm experience, call us at 508-543-0040. Established in 2004, Madoff & Khoury LLP has become one of the premier debt relief, business law, and real estate practices in southeastern Massachusetts. The lawyers at Madoff & Khoury have practiced bankruptcy law for over 30 years. We have represented large corporations, small businesses, families, and individuals in every aspect of bankruptcy law. While, like all lawyers, we learn something new every day, we have “seen it all” in the bankruptcy world. Whether you need to file a Chapter 7 to discharge your credit card debt, a Chapter 13 to save your home or a Chapter 11 to restructure and save your business, we have the experience to take you through the process. In our initial meeting, we won’t charge you, and we’ll help you assess the situation and head in the right direction, whether you retain us or not. Resolution of Real Estate disputes over ownership, boundaries and the like. Relevant news to Madoff & Khoury cases, practices, and legal expertise.